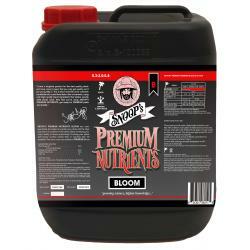 Plants work hardest during the bloom phase. 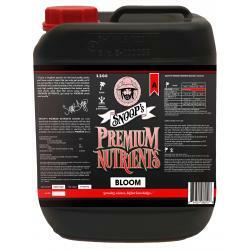 They need much higher levels of phosphates (P) and potassium (K) in order to produce flowers. 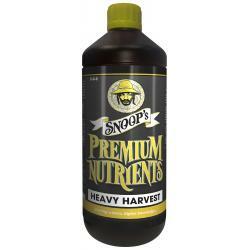 Snoop's Premium Nutrients Heavy Harvest has been formulated to work in conjunction with the levels of phosphates (P) and potassium (K) already found in Snoop's Premium Nutrients Bloom. 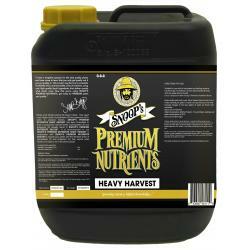 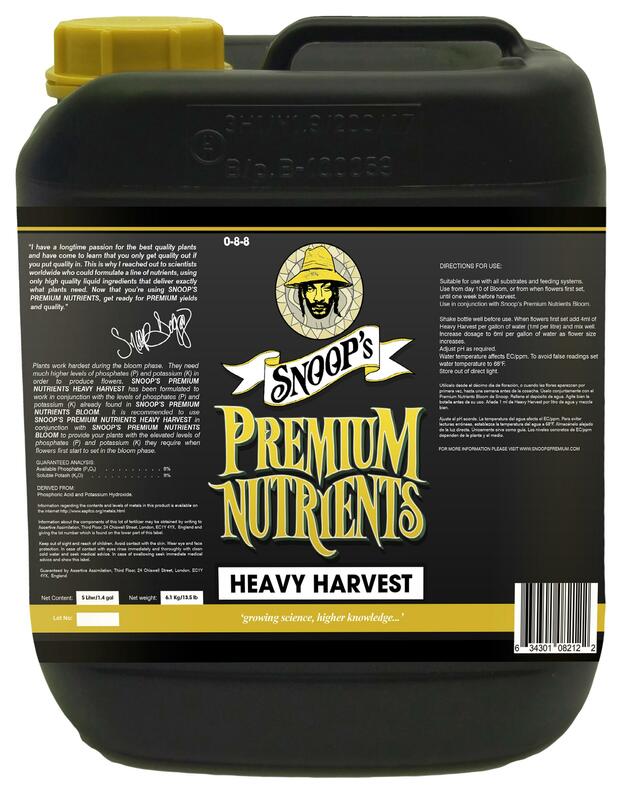 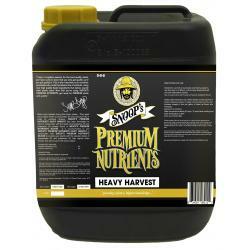 It is recommended to use Snoop's Premium Nutrients Heavy Harvest in conjunction with Snoop's Premium Nutrients Bloom to provide your plants with the elevated levels of phosphates (P) and potassium (K) they require when flowers first start to set in the bloom phase.